Posted by grhomeboy in Museums, Music, Pop Culture. An exhibition of Beatles photographs that have never been seen in Liverpool will go on display at the National Conservation Centre from 18 August until 2 March 2008. Now These Days Are Gone features photographs by Michael Peto, all of which were taken during the filming of the Beatles film Help in 1965. The collection of intimate black and white photographs show the Beatles in a variety of settings such as at home, in the studio, relaxing between takes and joking on set. Fiona Philpott, Director of Exhibition at National Museums Liverpool says, ‘We are delighted at having this opportunity to bring some rarely seen images of the Beatles to Liverpool. For fans of the fab four there is the chance to see the stars in a relaxed and informal setting while those interested in photography can admire the work of Michael Peto, one of the great photo-journalists of the 60s’. Michael Peto left 130,000 photographs to the University of Dundee when he died in 1970. They were then archived and lay forgotten until their rediscovery in 2004. Posted by grhomeboy in Fashion, Lifestyle. 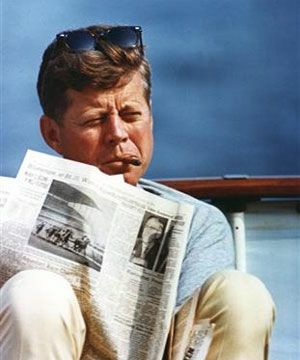 Classy > Ask men to name their 10 most stylish peers of the past 50 years and it’s unlikely handsome movie stars favored by women like Brad Pitt or Tom Cruise will show up, but former US President John F Kennedy just might. Ask men to name their 10 most stylish peers of the past 50 years and it’s unlikely handsome movie stars favored by women like Brad Pitt or Tom Cruise will show up. But Sean Connery? He gets major points because when it comes to style, men judge success, confidence, maturity and class more than good looks, according to GQ Magazine. The magazine has come up with a list of the top 10 most stylish men of the past 50 years, which features former boxer Muhammad Ali, actor Jack Nicholson, basketball player Michael Jordan and President John F. Kennedy. The others to make the list are actors Connery, Paul Newman, Robert Redford, Johnny Depp and Al Pacino, as well as quarterback of the New England Boston’s Patriots Tom Brady. Three-time Super Bowl champ Brady, at age 30, is the youngest. Jordan and Depp are in their 40s, and the rest, excluding Kennedy, of course, are all over 60 years-old. GQ editors chose the 50 most stylish men from five decades of cover subjects for a special 50th anniversary issue of the magazine that caters for men. The list, which included actors, politicians, musicians and sportsmen, was then narrowed to the top 10, which appears in the issue on newsstands this week. The editors did not rank the top 10 although Rapoport said many people would argue Sean Connery should be No 1. Posted by grhomeboy in Dining Out. London magazine Time Out has passed over three Kiwi cafes in its annual Eating & Drinking awards, instead giving top honours to the Spanish-influenced Fernandez & Wells. Sacred, Bullet and Flat White, all run by New Zealanders in the English capital, were three of the five finalists, having gained a loyal following for their top quality espresso and New Zealand-style cafe food. In an environment where high street chains have long dominated the coffee market, New Zealanders have been instrumental in raising the standards of the once-dismal London coffee scene. The judges from Time Out, which this year celebrates 25 years of informing Londoners on where to eat and drink, heaped praise on the Kiwi entrants, but Fernandez & Wells, supplied by Monmouth Coffee Company, whose roasters are largely New Zealanders, took out the top spot. Chardonnay has endured a bad rap over the years, considered by many as so aggressively oaky and lacking in style that it could never be considered a serious choice for the sophisticated drinker. It’s been labeled ‘naff’, adopted by ‘foxy ladies’ Kath and Kim (‘get us a glass of cardonnay’) and dismissed by the younger set as deeply suburban in short it’s been a tough few decades for the Chardonnay grape. The Chardonnays of today are of a different breed, here are my reasons for considering it to be such a fantastic wine variety. It’s a fantastic food wine, as our culinary expertise has developed we are more comfortable eating and cooking more complex dishes and flavours. Chardonnay is an adaptable food wine able to stand up to rich flavours without the threat of being overwhelmed. There are plenty of more delicate styles for those dishes that require a lighter touch, but on the whole I consider it to be one of the most versatile wines available. Value for money is readily available, you can get some great value Chardonnays in the $12 – $15 bracket and if you are prepared to spend even a few dollars more you can often move up to the next tier of wines for something a little extra special. Depth, flavour and complexity, in my opinion no wine offers greater depth of flavour and more beguiling complexity than a good Chardonnay, it can be elegant and restrained or a lush blockbuster. The Chardonnay grape is amazingly adaptable to so many styles of winemaking that there’s practically a style for every mood you are in, a one trick pony this variety is not. Oak is good, many people have been put off Chardonnay in the past because they have come across many that have been too heavily oaked. Most producers these days have got the message to pull back and now use oak more discriminately to craft some very deft wines indeed. However, if you’ve been scarred for life or are just not a fan of oaky wines, there are plenty of lightly oaked and unoaked Chardonnays now available that still offer varietal charm without being over-powering.